Smiling is contagious, especially when you’re around those you love. If you’re less than satisfied with your smile, turn to a dentist at the Dental Clinic of Onalaska in Wisconsin. Their dental team offers a variety of cosmetic procedures, including teeth whitening, veneers, and dental implants, that will make you want to show off your pearly whites all season long. Whether your family celebrates Christmas or Hanukkah, you can spend a relaxing evening decorating the house inside and out. Serve up some holiday treats and hot cocoa, and everyone will be grinning in no time. You’re never too old to play in the snow or make a snowman. 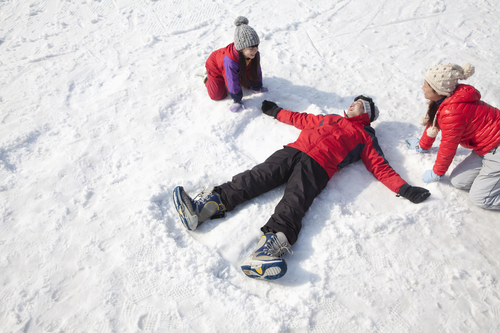 If you get any time off from work around the holidays, spend a few hours outside with your loved ones just goofing off in the snow. Your favorite charities and local food banks need help year-round, but the holidays might be the only time of year when you have enough time off work to give back. Take your family down to the local food bank to help out. Once you realize how easy it is to make a difference, you won’t be able to keep from smiling. Your family might be scattered all over the country—or around the world—but that doesn’t mean you can’t share the joy of the season with them. Sending holiday cards is a great way to remind everyone near and far that you’re thinking of them. If you have children, grandchildren, or nieces and nephews, going to their Christmas pageants or plays will warm your heart well into the New Year. If you need a family dentist in Wisconsin, turn to the Dental Clinic of Onalaska. Visit their website to learn more about the general and cosmetic dental procedures they provide and call (608) 783-3341 to make a dentist appointment today.